Banks: What is behind the rising number of branch closures? Bank closures: Why are so many branches being shut down? Hundreds of workers are to lose their jobs, with rural communities the hardest hit. 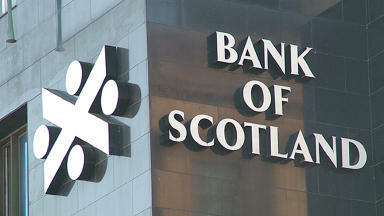 The number of local branches getting shut down by banks in Scotland seems to rise every year. 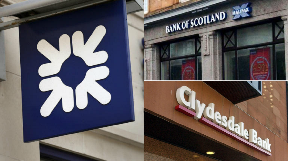 Bank of Scotland announced 24 closures in April then a further 11 this month, while Clydesdale Bank decided at the start of the year to close 40 local outlets at the cost of 200 jobs. Most recently, on Friday, Royal Bank of Scotland said it would be axing 62 branches up and down the country, along with more than 150 jobs. This decision alone amounts to the closure of more than 40% of the bank's local branches and it came only nine months after RBS announced another 30 branches that were to be cut. 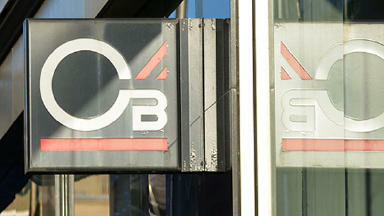 So why are the closures of high street banks accelerating - and what does it mean for you? Mobile: Customers are going digital for day-to-day banking. When announcing these cuts, banks overwhelmingly cite the changing habits of customers - namely, the rising popularity of day-to-day mobile and online banking. RBS claims it interacts with its customers around 20 times more through digital channels than physically. 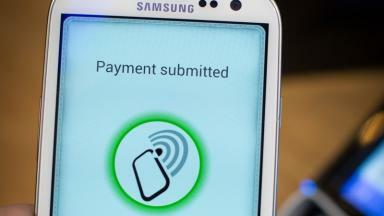 It also says half of its Scottish customers are mobile banking users - a figure that is closing in on one million and has almost doubled since 2014. Most tellingly, since 2012 the number of customers using RBS branches has fallen by 44%, with only 1% visiting a branch regularly, according to the firm's figures. Other banks report similar findings and say that their present branch networks simply are not sustainable - and that they need to invest instead in the digital areas of their businesses. The objections of trade unions and politicians to the big banks' ongoing drive to cut local branches is twofold. First, they cite the job losses in communities up and down the country. In the past two years, at least 700 Scots bank workers have been told to expect redundancies across branches and call centres, with several hundred more to face "redeployment" within the businesses. Secondly, they say the closures hit rural communities the hardest, particularly islands and remote towns and villages - and the most vulnerable people within those communities. 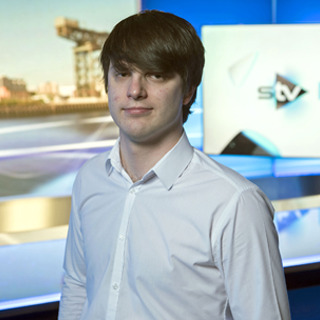 Barra, for example, is preparing for life without any bank branch at all. 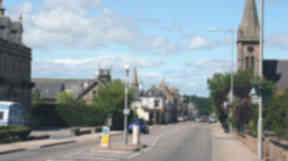 Ministers and trade unionists are concerned that banks are abandoning the customers in areas like this. 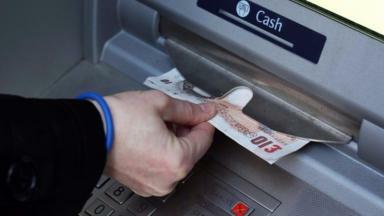 They say groups such as pensioners, disabled people and the less well-off are most in need of branch banking. Opponents to branch closures also say they affect small businesses in rural areas, especially those that rely on cash-handling. Some of the various closures announced since 2016 have already happened, including the 24 Bank of Scotland branch cuts, but many are slated for next year. This gives affected staff time to either be retrained or redeployed or to come to a redundancy agreement with their employers. Following the most recent closures by the partly taxpayer-funded RBS, Unite the union has urged the Scottish Government to intervene on behalf of local communities. Unite Scotland's deputy regional secretary Mary Alexander told ministers: "The Scottish Government cannot stand by and watch this catastrophe develop. "Every bit of financial muscle that the government has must be deployed to force RBS to change their mind. 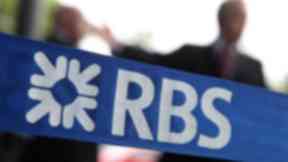 "There must urgent talks with RBS to make it clear their proposals are totally unacceptable in modern Scotland." For its part, the government has vowed to support staff and communities affected and insists it regularly discusses the issue of branch closures in meetings with bank executives. Scottish officials also note banking regulation is reserved to Westminster and they "cannot directly compel banks to maintain branch presence where they have taken the commercial decision to close". Secretary of state for Scotland David Mundell has said he will discuss the most recent closures with RBS as a "matter of urgency".